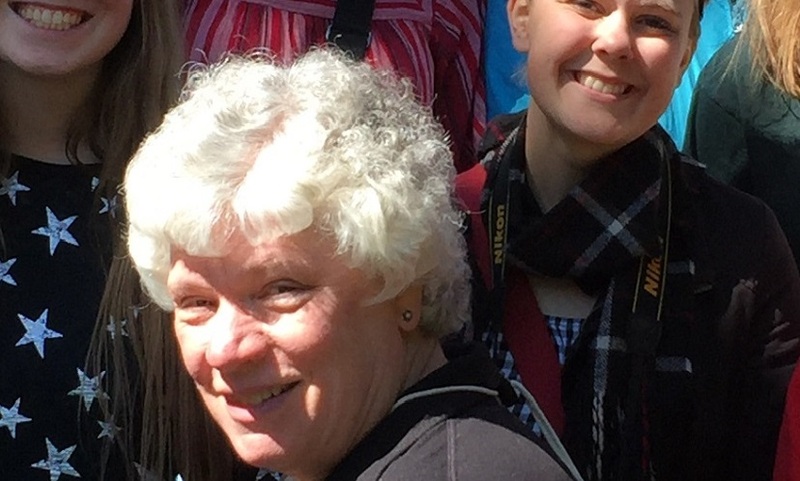 Barbara Koester, a high school Spanish teacher from Foley High School in Foley, Minnesota, has been traveling with her Spanish language students since the 1987. Her first travel group started small, with only two students from her school, so they combined their group with six students from another school. Now, 31 years later, her travel group has grown to 28 students. Barb knows how to grow an annual language immersion program from humble beginnings. For that reason, we asked about her career, if she had any advice for high school language teachers looking to get an immersion program approved by their school, and how to turn that program into a consistent success. Barb: When I was hired in 1985, it was with the understanding that I would provide travel experiences for our students. As a new teacher, I needed to gain some experience and had to consider my family before making the commitment to travel. I also worked with my German teaching colleague at that time, which was beneficial. Now I let parents and students know of the opportunities to travel and enlist their support. Participation has actually become a tradition in some families! What percentage of your class travels, and are there any factors that drive that percentage? This year, 14% of my students participated in the trip to Spain. As the only Spanish teacher in my school I have about 200 students in my classes. I think participation is more dependent on the economy than other factors at my school. Is there anything that you prefer about traveling with a larger group? I enjoy the ease and flexibility of traveling with a small group but actually prefer leading large groups. In a large group, a matrix of new friendships forms and students really function as a team. Students in my larger group have done very well researching and becoming “experts” on the locations we’ll visit on the trip, and they’ve worked to help each other more knowing I have my hands full. How do you suggest other teachers engage school administrators to get approval for language immersion programs? I recommend creating a presentation for your Board of Education to enlighten them about the rigorous preparations, deliberate and intentional travel goals, hands-on learning, and resulting personal growth and renewed motivation to learn a second language. I also recommend a spring trip to enable participants to return to school with enthusiasm, improved language skills and stories of their fun adventures to share with their peers. Excitement really is contagious! How do you recruit and prepare your students and their parents? I typically have students sign up for the trip the spring before departure. I then hold an informational parent/traveler meeting in the fall and another prior to departure. Each meeting lasts about an hour and I provide an agenda and outline my expectations and the timeline of things to do in preparation for the experience. Xperitas helps with this process by sending notices to families containing reminders of tasks each month. I am available to parents any time questions arise and try to provide helpful guidance. What do you find are the biggest concerns parents have about their children traveling abroad? Parents are concerned with student SAFETY. I am very candid when explaining the responsibilities of traveling in a group. Leaders must be competent and confident, able to anticipate and take action, and willing to make firm decisions when necessary. Parents want their students to have a learning experience abroad. In the back of their mind they hope their students will be mature enough and capable of following instructions, behaving well etc. to maximize the opportunity. Many parents are also concerned with the financial aspect of traveling especially if they haven’t traveled themselves. I try to provide as much information as possible so parents know where their students will be each day, possible activities, and anticipated costs. Parents and students are happy to see a mix of museum visits and bicycling in the park, zip lining and gothic cathedrals. I like to have fun! What types of fundraisers have you done, and which have you found to be the most successful? I regularly work concessions for school events to raise funds for the trip to Spain and on alternate years for the trip to Washington, D.C. and New York City. Students can earn quite a bit of money to defray the cost of the trips and gain job skills. We used to do an annual candy sale but are now looking for an alternative. Do you have any other general advice for language teachers who are establishing travel immersion programs? Remember that each trip I organize is not about me – it is centered on providing a great experience for the students. I really try to lead the life of a teenager for the duration of the trip. Consistency. Parents and students appreciate conscientious, careful planning and communication so they can confidently allow their students to participate. For some families, the idea of sending a student abroad is very daunting and they need some assurance that leaders will provide a quality experience at a predictable price with careful supervision. In other words – control the unknowns a bit to lessen the anxiety. It has been helpful for me to travel to the same country destination each trip. The experiences have allowed me to become a better guide as I am familiar with the places we will visit. This allows me to anticipate questions and create activities on the fly for students to enjoy. If you want a continuous immersion program in your school, I highly recommend a consistent, predictable destination, price, schedule and cost. Students may enter ninth grade planning to travel and may need time to earn the funds and hone their skills in anticipation of a trip in their junior year. How do you measure the success of your immersion programs? Student learning is obvious when students return to the classroom. Travelers often express their intention of continuing their language study beyond high school and make plans to study abroad in college. They are more responsible, have a positive global outlook and greater appreciation of others. They know some things because they have seen and done some things. Do you have any favorite travel stories! I have a million stories and often share them with my classes as a way to teach them about travel or cultural situations. I’ve had students: become trapped in a shower; ask a hotel concierge what a bidet is and how to use it in a crowded lobby; order four servings of French fries only to find out that the waiter had been trying to explain that each serving comes on a platter large enough to serve eight people; silly misunderstandings and a lot of fun along the way. You’ve got to love kids to be in this business! Nobody is more dedicated to her kids' language learning success than Barb. We'd like to thank her for not only traveling with us, but for taking time out of her teaching schedule to tell us about the process of building up her school's Spanish language immersion program. Have a great summer, Barb!